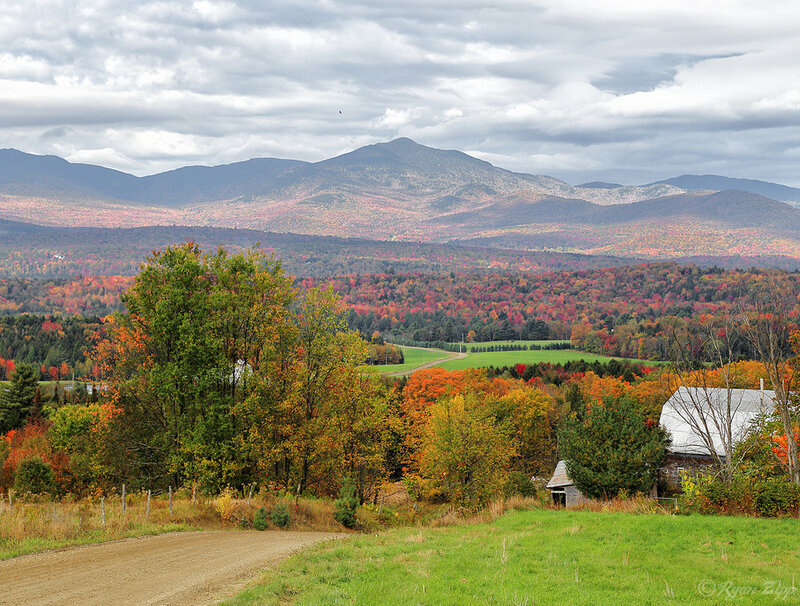 I had never done any adventuring beyond my home state of Connecticut during peak Fall foliage time here in New England so I decided to change that this year and planned a long weekend up to the Stowe area of Vermont. 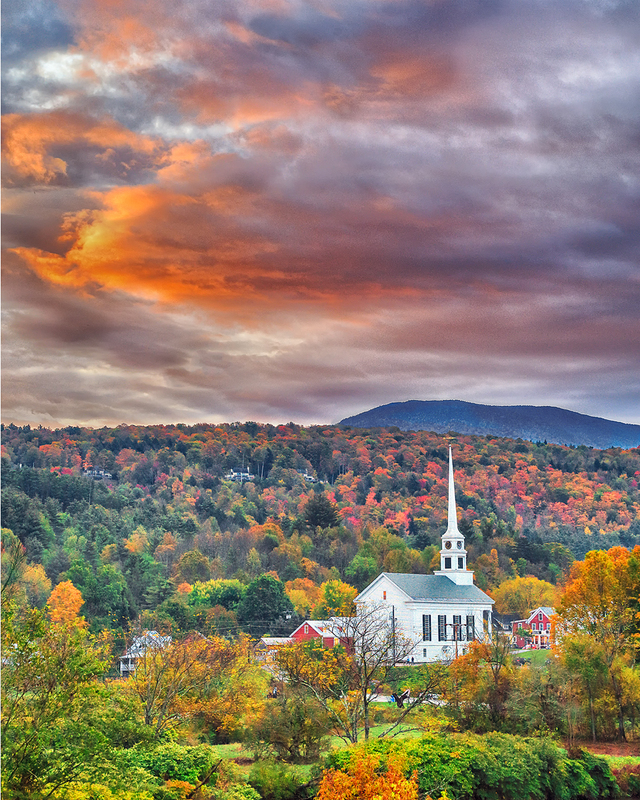 Started off the first morning early by getting to an overlook where I could capture downtown Stowe with the sunrise providing even more color to this iconic scene. Then headed to the nearby picturesque Moss Glen Falls to take in the views of it from the upper viewing area and then down below at the base of the falls. Even flew my drone up and down the falls for a quick flight as some light rain began to fall. The next destination was the 3.5 mile Stowe Pinnacle Trail up to an incredible bald open summit from which you can see the Green Mountains to the west, including Camel’s Hump, the Bolton Range, the Nebraska Notch, Mt. Mansfield and the Sterling Mountain Range. I even met the famous trail guides Sampson & Baylor, two golden retrievers that are frequent visitors to the top, and was able to snap some shots of them. It was a steep climb in some windy and rainy conditions but the views at the top alongside these pups was definitely worth it. Started off the next day by doing some back road driving which is my favorite in these type of areas. 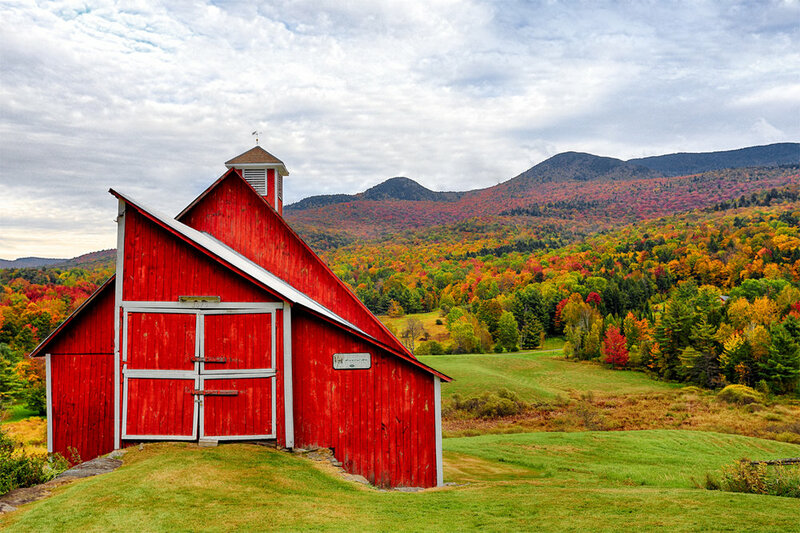 Came across a number of different barns among the fall foliage backdrops, including this striking red barn with asymmetric features that really caught my eye. The rain started up again as I got to Bingham Falls, a 40 ft cascading waterfall with teal water flowing down into a pool below. Enjoyed shooting this oasis even as the rain was pouring down on me. 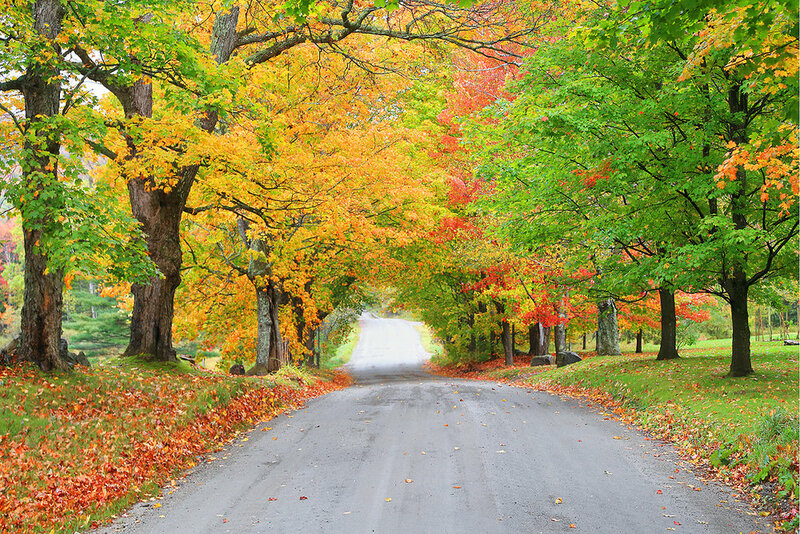 The next stop was cruising down the famous Smugglers Notch scenic highway that covers 3.5 miles of twists and turns through the Green Mountains. Bright yellows and oranges lined the road with rocky ledges covered partially by low clouds seen up above at every view. There were alot of cars and tourists making this same drive but I managed to pull over a few times to get some awesome shots. The drive home took me through Waterbury, which is not only the home of Ben & Jerry’s, but also another beautiful stretch on Route 100. The highlight from this area was this perfect vintage brown barn with red doors and amazing colorful foliage behind it. Couldn’t have asked for a better way to cap off my first Fall weekend in Vermont!